Happy Monday! I want to start off the last week in January with some inspiration. If you’ve checked out my 2018 Goals post then you know that my number one goal in life is so get closer to God and one way that I’m doing this is by spending time with God every single morning before I start my day and for me it’s very important that I take this time before I even look at my phone, there is nothing more important than God so everything else can wait. 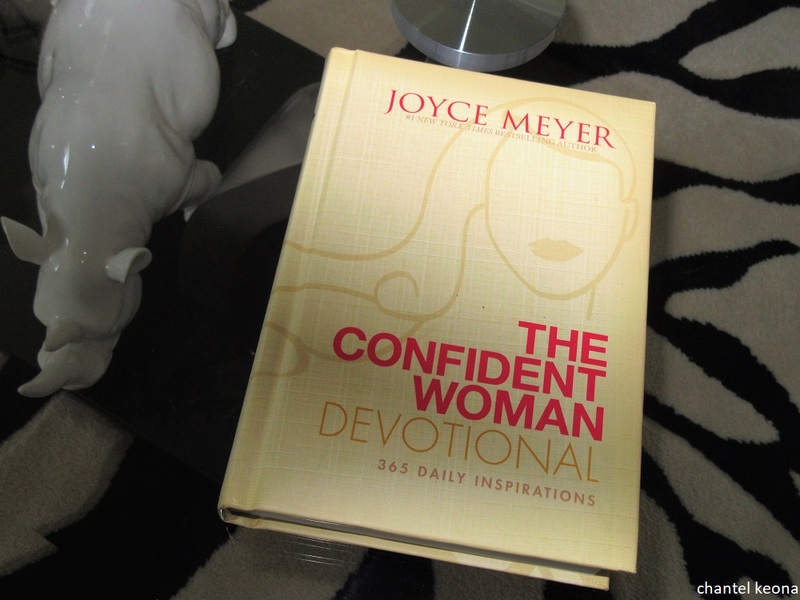 To start 2018 off right I’m currently reading The Confident Woman Devotional by Joyce Meyer. Keep reading for all the deets and I hope this inspires you. Description: Based on her #1 New York Times best seller, The Confident Woman, Joyce Meyer taps into the concerns and issues that trouble women the most. She provides encouragement and tools to help resolve problems in the areas of life women struggle with the most including: confidence, self-image, and relationships. It is easy to get caught up in what the coming weeks, months, or years might hold and forget to slow down and live in the present. 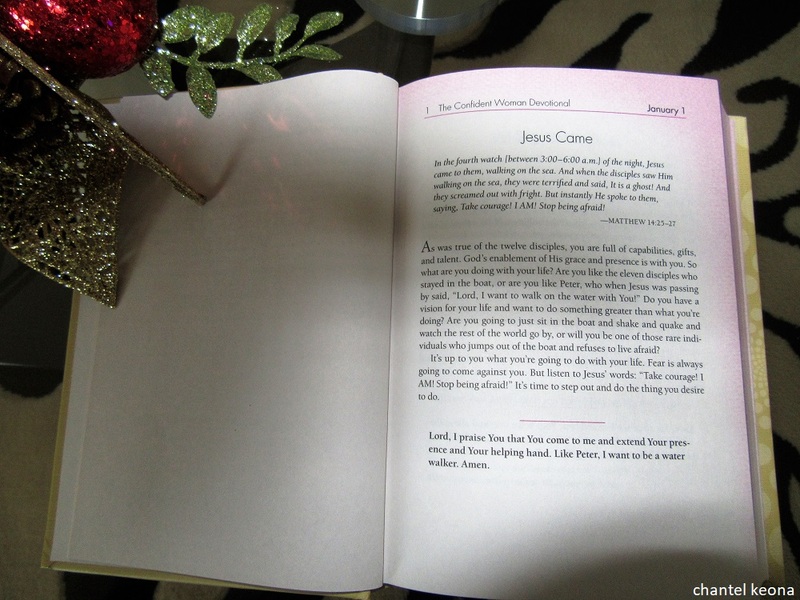 This powerful daily devotional will help women on their journey towards a confident life filled with love, laughter and God’s acceptance, one day at a time. I absolutely love Joyce Meyer so when I saw this book on Amazon I knew I wanted to read it and I am so glad I did, this book is truly amazing. I have so much joy and peace after I’ve had my time with God. 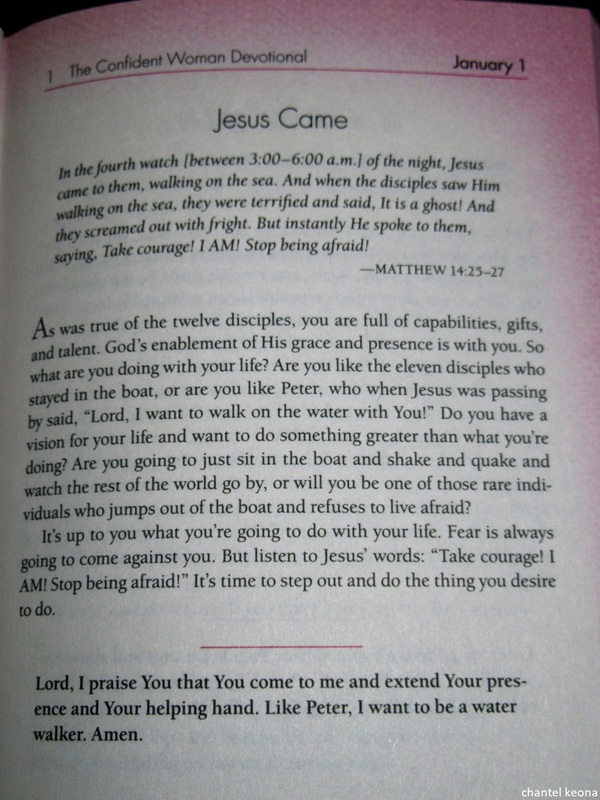 These daily devotions are easy to read, understand, and can be applied to your life with ease. This book is full of encouragement and inspiration and I recommend it to all of you ladies out there. I will continue reading this book and living my best life with God. Have you read this book before? What other devotional books do you recommend that I read next? Let me know in the comments.